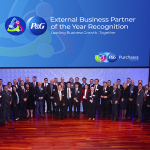 "I congratulate and thank all of our award winners. 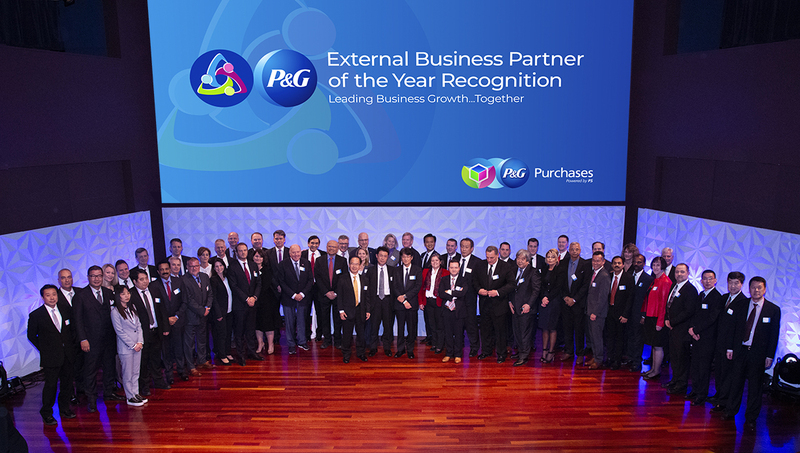 They are critical partners in accomplishing our purpose"
CINCINNATI--(BUSINESS WIRE)--At its bi-annual External Business Partner Summit underway this week, The Procter & Gamble Company (NYSE:PG) recognized its top-performing external business partners for their outstanding contributions to P&G’s global supply network transformation. As part of P&G’s efforts to lead constructive disruption during a time of rapid change in the consumer goods industry, P&G has been revolutionizing how it goes to market, redesigning its supply chain to respond seamlessly to real-time consumer and retail customer demand. Yamada Electric Ind. Co. Ltd.